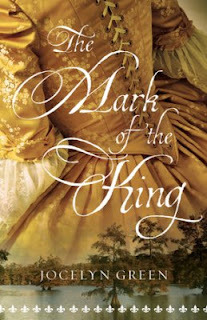 With her dreams of a new life shattered, Julianne must find her way in this dangerous, rugged land, despite never being able to escape the king's mark on her shoulder that brands her a criminal beyond redemption. Buy the book HERE. Jocelyn Green inspires faith and courage as the award-winning author of ten books to date, including Wedded to War, a Christy Award finalist in 2013; Widow of Gettysburg; Yankee in Atlanta; and The 5 Love Languages Military Edition, which she coauthored with bestselling author Dr. Gary Chapman. A former military wife herself, her passion for military families informs all of her writing as well as her numerous speaking opportunities. Jocelyn graduated from Taylor University with a BA in English and now lives with her husband and two children in Iowa. Visit her at www.jocelyngreen.com.